For those of us in the emergency management and public safety fields, it is easy to put together a mental image of a school shooter. Most of us have been riveted to news coverage following mass shootings and seen enough television and movies that we could easily put together a list of telltale signs for a school shooter. We naturally assume that the profile of an active shooter is a male. But what other characteristics indicate a potential school shooter? We assume that he has failing grades and poor academic performance. We give credence to interviews describing him as a “loner” with no friends. We also assume the shooter had a history of mental illness, how else could he be capable of such atrocities? We commonly dwell on the parents and families of the school shooter–what type of environment could have produced a school shooter? Obviously, school shooters must come from broken families, with absentee or abusive parents, don’t they? Furthermore, what makes a shooter act? Why today instead of yesterday? Why not tomorrow? We assume that school shooters just snap. If there was any forewarning—wouldn’t someone have noticed? Surely parents, family or teachers would have noticed something and prevented him from carrying out his plot. Logically, we assume, the only way a school shooter could possibly plan his attack would be if he carried out his planning in secret. All of these assumptions form what most of us have developed as the profile or stereotype of an active shooter in schools. But how accurate are our assumptions? How close to the mark have we gotten and are we looking for the wrong indicators? Shockingly, research by the United States Secret Service and the US Department of Education contradicts the majority of our aforementioned assumptions. The US Secret Service researched all incidents of school shootings between 1974 and 2000 and reached some astonishing conclusions. For example, most school shooters have good grades. Research shows that only about 5% of school shooters receive failing grades. That means the vast majority of school shooters do well in school. Many news reports following a school shooting label the shooter as a loner who had no friends, but most of the interviews focus on people or other students who admittedly had little social interaction with the shooter. After the shooting at Columbine High School, news media explained that the shooters were loners–even though both shooters were very social, having a core group of friends and dates for prom. The study by the Secret Service also challenged the “loner” stereotype. Only one-third of school shooters could be identified as a “loner”. This means that two out of three school shooters appear to have and maintain typical social interactions. Additionally, less than 20% of school shooters have been diagnosed with a mental health or behavior disorder prior to the shooting. This statistic is one of the most troubling. Especially with the dark stigma surrounding mental illness, most of us assume school shooters have been problematic students with a history of mental illness. According to research by the Council of School Attorneys after the shooting in Columbine, CO, “…approximately 18% of children and adolescents have a mental health disorder, and that approximately 5% are severely emotionally disturbed. The odds are, therefore, that every classroom in every school has at least one student with a mental health disorder.” Given that the number of school shootings is far less than the number of students diagnosed with mental health issues and most school shooters are not diagnosed with an illness or disorder at the time of the attack, is the diagnosis of mental health issues an accurate indicator for predisposition as a school shooter? Conversely, and more importantly, does the absence of a diagnosed mental health disorder in an individual truly contraindicate the predilection for initiating a school shooting? Although much blame is associated with “broken” or dysfunctional families, the US Secret Service discovered that most school shooters come from two-parent families. Perhaps most shocking, however, is the conclusion that school shooters do not simply “snap.” As the report concludes, 93% of school shooters planned their attack. Even more shocking is that the vast majority of school shooters share their plans with others prior to the attack. In over 80% of school shootings, the attacker told at least one person. In close to 60% of school shootings, the attacker told more than one person! At one school shooting, at least twenty four students knew about the attack before it occurred. Most importantly, however, is the statistic that over 90% of school shooters exhibit warning signs prior to the shooting that go either ignored or underreported. While the stereotype seems to tell us that school shooters prepare for their attack in secret, the facts support the conclusion that school shooters share their plans and intent with others. In essence, school shooters do not cleanly fit the stereotype many of us have developed for them. Based on their horrific actions, we assume that school shooters must severely differ from other students. In many ways, it is actually possible that our collective stereotype of a school shooter may actually work against us. If we assume that school shooters are academic failures who plan in secret, have few friends and come for broken homes, we are relying upon a flawed set of indicators. Unfortunately, even when other warning signs are evident, are we less likely to act or report those fears because the individual may fail to meet our perception of a school shooter? Surely they are just kidding, or going through a phase, or acting out, aren’t they? As emergency management and public safety professionals, it is more important than ever to be well-trained in identifying the actual characteristics of a school shooter–rather than relying on unfounded assumptions, stereotypes and Hollywood portrayals. While the data supplied by the Secret Service is informative, perhaps its biggest value is opening our eyes to the fact that school shooters defy traditional depictions and some of our own deeply held assumptions. It is not enough to simply be familiar with the warning signs of a school shooter, but we must use this research to expand our sensitivities and awareness of potential school shooter to alter and improve the culture of preparedness in relation to society’s most defenseless members: our schoolchildren. Todd Jasper is the Associate Director of the Homeland Security and Emergency Management Division of MSA, Inc. and Jason Geneau is the Deputy Director for Planning and Implementation in the Disaster Management & Homeland Security Services Division of Tetra Tech, Inc.
On June 18, 2013 the Obama Administration released the Guide for Developing High-Quality School Emergency Operations Plans, the Guide for Developing High-Quality Emergency Operations Plans for Institutions of Higher Education and the Guide for Developing High-Quality Emergency Operations Plans for Houses of Worship. These guides are the culmination of years of emergency planning work by the Federal government, and the first joint product of ED, DHS, DOJ and HHS on this critical topic. The guides incorporate lessons learned from the recent shootings in Newtown and Oak Creek as well as the recent tornadoes in Oklahoma, can be customized to each type of community, and may be used to create new emergency plans as well as to revise and update existing plans. The planning process outlined in the guides will help schools, IHEs and houses of worship align their emergency planning practices with those at the national, state, and local levels. National preparedness efforts, including emergency planning, are now informed by Presidential Policy Directive (PPD) 8, signed by the President in March 2011, which describes the nation’s approach to preparedness. This directive represents an evolution in our collective understanding of national preparedness, based on the lessons learned from terrorism, hurricanes, school incidents, and other emergencies. The new guides translate the planning guidance from these recent developments to the school, IHE and houses of worship contexts, ensuring that they benefit from these advancements, and introduce schools, IHEs and houses of worship to a new approach to planning that includes walking through different emergency scenarios to create a course of action for each objective the team is trying to accomplish, whether it be providing fire prevention training to all students and staff that work with combustible materials or evacuating everyone in the building. The Guide for Developing High-Quality School Emergency Operations Plans, the Guide for Developing High-Quality Emergency Operations Plans for Institutions of Higher Education and the Guide for Developing High-Quality Emergency Operations Plans for Houses of Worship may be accessed on the REMS TA Center website (http://rems.ed.gov) at the following location: http://rems.ed.gov/EOPGuides. It’s not often that we see marketing statements included in the title of emergency management documents. By including “High-Quality”, the title is making an assessment about the document (similar to how “I Can’t Believe It’s Not Butter” is both a statement and a title). Clearly, the team that created these guides saw all the pure crap that is considered sound planning on the internet and decided they needed a bold assertion in the title. I’m looking forward to the “High-and-Dry Floodplain Management Plan”, the “Got Risk? Risk Management Plan”, the “Just Do It! Field Operations Guide,” and the “It takes a licking and keeps on ticking! Shelter Operations Manual”. I like that the planning team was comprised of a diverse collection of agencies such as the U.S. Department of Education, U.S. Department of Health and Human Services, U.S. Department of Homeland Security, U.S. Department of Justicem, Federal Bureau of Investigation, and Federal Emergency Management Agency. I love that the templates include Prevention and Protection in addition to Mitigation, Response, and Recovery. Schools need to be in the mindset of planning and coordinating prevention and protection measures (especially using the core capabilities and PPD framework). 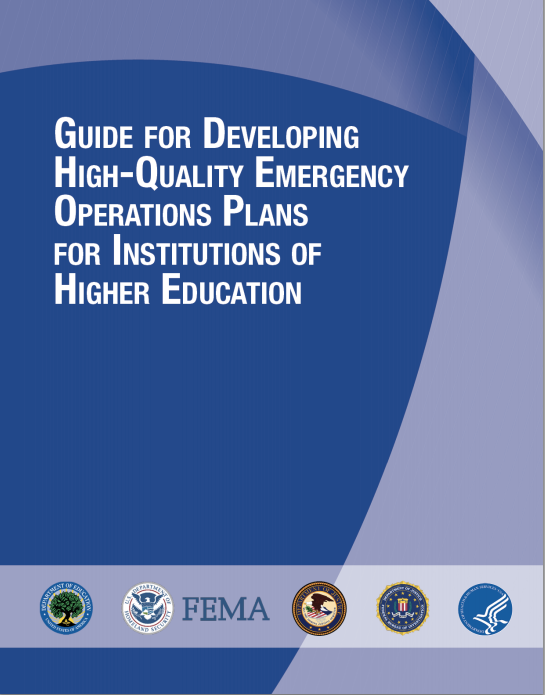 The guide for EOP planning for higher education replaces “Action Guide for Emergency Management at Institutions of Higher Education” (January 2010), which is rescinded. This is a big leap and all schools need to review and revise their plans based on the newest guidance. The templates offer very specific roles and responsibilities–this is excellent! For higher education, the template offers recommendations for residential life personnel, food services, general counsel, and many other offices/positions. Often in emergency preparedness in the academic environment, there’s a sense of diffusion due to the large number of people, departments, vendors, and services involved in emergency management. This cross-disciplinary, continuous program management is difficult in all settings, but in higher education this seems especially true. 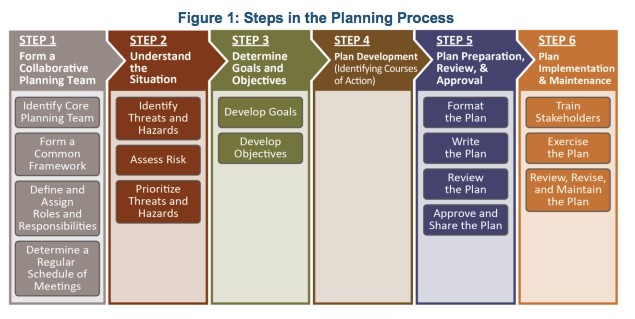 The templates suggest four assessments: Site Assessment, Climate Assessment, Threat Assessment, and Capacity Assessment. This sounds good–but complex and laborious. Not sure why the THIRA wouldn’t be a good recommendation since it’s being implemented as a standardized threat, hazard identification, and risk assessment tool. In my humble opinion, the THIRA probably could have been slightly modified (perhaps THIRA-ED…even rhymes with higher-ed!) to offer academia and emergency management offices a standardized assessment methodology. This annex focuses on the courses of action IHEs will execute to secure IHE buildings, facilities, and grounds during incidents that pose an immediate threat of violence in or around the IHE, such as a crime or bomb threat. The primary objective of a lockdown is to quickly ensure all faculty, staff, students, and visitors are secured in rooms away from immediate danger. Including continuity of operations (COOP), psychological first aid, and recovery annexes in the template is very good planning–it’s what I do with my clients and I rarely see it replicated. No single response fits all active shooter situations; however, making sure each individual knows his or her options for response and can react decisively will save valuable time. Overall these are very strong planning guides and constitute a huge leap in emergency preparedness planning for vulnerable sites like schools and places of worship. Unfortunately, we are about 10 years overdue for this guidance. 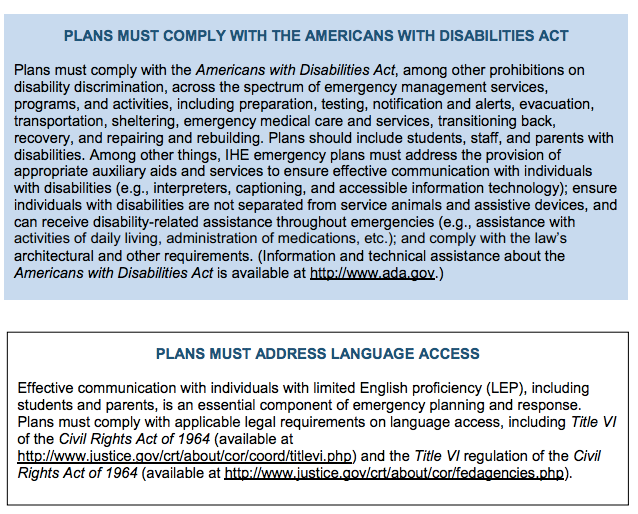 My recommendation would be to not disband the planning team that authored these templates. Instead, keep them together. Develop a schedule of fact-finding trips and exercise evaluation for schools and places of worship. Provide the team with resources to respond after a school shooting or incident at a place of worship to identify lessons learned, best practices, and validate assumptions. The military doesn’t disband special forces teams after a successful mission–that would be silly. But we do that in emergency management all the time. We need continuity and momentum. We need to have a “special ops” team that specializes in planning doctrine and has its finger on the pulse of emergency management in schools and places of worship. The team would actively monitor feedback loops, thus allowing them to be proactive. Additionally–in my dreams of the perfect solution–the team would be able to provide cursory technical assistance to schools and places of worship. I know it’s far-fetched, but a branded team with an identity to develop standards and perform national outreach is the tonic we need. If it saved just one schoolchild’s life–it would be worth all the cost and hassle and bureaucratic hurdles. As of today, it’s been 6 months and one week since the Sandy Hook Massacre. Let us never forget those innocent children and the brave adults that did everything to save them. Now it is time for us to do everything we can to prepare, protect, and prevent a similar incident. In June 2013, the Pew Research Center reported its findings that 56% of Americans have smartphones capable of downloading apps–up from just 35% in 2011. Additionally, the number of Americans without a cell phone is down to just 9% of the population. According to research from New Relic, the average smartphone has over three dozen apps (forty-one to be exact) and the average smartphone user checks her phone 150 times per day with 127 minutes per day spent on apps. It is estimated that by the end of 2013, there will be 1.82 billion active smartphones globally and within the next two years, almost 100 billion apps are predicted to have been downloaded by smartphone users. Unlike a webpage, when content or information is updated in an app, the app can send an alert to the smartphone user to acknowledge the update (also called “push” alerts). During an emergency, it is possible to also send direct messages to users through the app. While not robust enough for a sole means of emergency notification, push alerts or push notifications can be one of the tools emergency managers use for notifying the public. Additionally, if your agency includes plans in its app, app users will always have the most up-to-date plans. When posted on the internet, users can sometimes stumble upon an older version of a plan that has been saved by a search engine or re-posted by local groups, etc. With an app, there is unfiltered access to the most up-to-date information (without the fear of cached versions of older plans recirculating during an emergency). When disconnected from wifi or wireless data feeds, apps can still function because they have the ability to save information to a user’s smartphone from the previous time an update was downloaded or a connection was available. If your agency wishes to provide any type of guidance for constituents if wireless connectivity is degraded, apps are a good solution. For items like evacuation routes, shelter guides, checklists, and other steady-state documentation, the apps can include those documents and simply update any of the documentation when the user connects to the internet–yet still maintains a copy on the user’s smartphone for when internet connectivity is unavailable. Since almost all smartphone users keep their phones nearby (how else would they be able to check their phones 150 times per day? ), the smartphone is a better targeted device for distributing information than a laptop or desktop computer. Apps are built for ease of use–especially in transit or on the go. For emergency managers, our intended audience during an emergency are those constituents who can be empowered with the right information to help themselves and their community. Oftentimes, information is needed immediately–not when a person can find a computer nearby. Thus, the app is a perfect way of presenting actionable, executable information in a timely manner in a reliable format. As the operating systems (OS) of mobile devices become more advanced, apps are becoming better integrated with other programs on smartphones, such as maps, the address book, GPS, text messaging, and social media. The benefit of emergency management apps would be the deeper integration with other platforms. In a large-scale disaster, an emergency management app could open up a smartphone’s maps app to plot a course to safety. Once safe, an emergency management app could recommend using social media (rather than a phone call–which ties up limited bandwidth) to let family members and friends know that the user is safe. Deeper integration with reminders, calendar appointments, and other future mobile platform developments can serve to promote preparedness, enhance dynamic, safe responses, and encourage more robust recovery from disaster. While not every emergency management agency is ready to release their own app, agencies such as Washington, DC’s Homeland Security and Emergency Management Agency (HSEMA), Virginia’s Department of Emergency Management (VDEM), and even FEMA have already released apps for specific uses during emergencies. Will your agency be next? The FEMA National Preparedness Directorate (NPD) is comprised of a large team, including five physical locations and a mission that encompasses every element of the national preparedness system. To assist in overseeing NPD’s complex mission, a deputy assistant administrator position for the Directorate is being established. Katie Fox will assume that responsibility. Tony Russell, the superintendent of the Emergency Management Institute, will expand his portfolio, adding responsibility for all of NPD’s training and education services. Donald “Doc” Lumpkins will assume new duties as the director of the National Integration Center (NIC), where he most recently administered the highly successful program Executive Office. Carla Boyce will assume new duties as the director of the National Exercise Division, where she will bring her experience in administering the NIC and overseeing National Preparedness System implementation to the revamped National Exercise Program. Finally, Dr. Keith Holtermann will assume new duties with FEMA’s Office of Response and Recovery. As the report notes, “The City’s response to Hurricane Sandy began well before the storm and continues today, but [the City is] far enough away from the immediate events of October and November 2012 to evaluate the City’s performance to understand what went well and—as another hurricane season approaches—what can be improved.” It’s pretty amazing that NYC is willing to release an AAR before the incident is “closed-out” in order to improve preparedness for this upcoming hurricane season. NYC government should be applauded for understanding how important it is to use Hurricane Sandy as a feedback loop in order to inform and advance planning for future natural disasters. Through my quick read of the report, the following on some important points to consider. NYC Coastal Storm Plan: “The current iteration of the City’s formal preparations for a coastal storm began in 2000 with the release of the Coastal Storm Plan (CSP), a collection of programs to prepare and respond to a storm, including evacuation, sheltering, and logistics planning” (page 4). Notice how they explain that the CSP is a collection of programs— not just plans. Programs are living entities that (hopefully) evolve, mature, and improve. Plans have a tendency to just sit on a shelf. Continuous Improvement: Significant adjustments were made to the CSP following Hurricane Irene in 2011. The programs included in the CSP evaluated their performance after the last major incident and made improvements. The AAR generated 59 recommendations, six core areas, and seven themes (this is slightly confusing). Six core areas are: (i) communications; (ii) general and healthcare facility evacuations; (iii) public safety; (iv) general and special medical needs sheltering; (v) response and recovery logistics; and (vi) community recovery services. Better integration of the City’s data across platforms and agencies to increase situational awareness and allow more targeted, efficient response and recovery operations. Additional capacity to respond to large-scale building inundation and loss of power, including pre-storm identification of the equipment and skilled resources likely to be needed for building restoration and better coordination with private building owners. Better coordination of relief to affected areas and to vulnerable or homebound populations, including more efficient deployment of volunteers and donations to residents and business owners. The development of a mid- to long-term housing plan for New Yorkers displaced by damage from coastal storms. 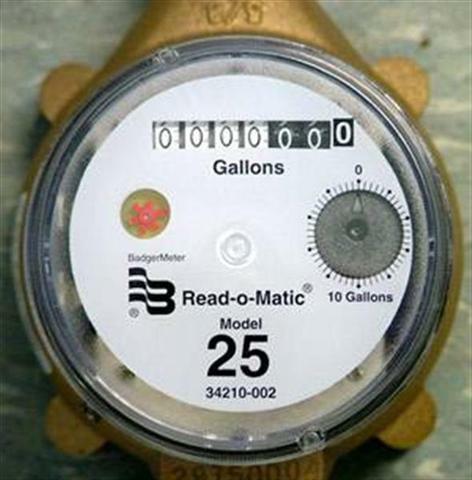 Partnership with the federal and state authorities that regulate and enforce standards for private companies and utilities that provide essential services to New York City residents. Yikes! Notify NYC only has 165,000 registered users (out of 8.3 million residents, or 1.99% of NYC residents). For comparison, Portland, Oregon has 137,000 self-registered users of its emergency notification system and its population is 600,000 (or 23% of residents). The City became the first local municipality in the country to use the Commercial Mobile Alert System (CMAS), an emergency text message service created by the Federal Communications Commission (FCC) to send text messages to all equipped cell phones in a designated geographical area regardless of phone carrier service or origin. The City used CMAS three times during Sandy, starting at noon on October 28 after the Mayor announced the mandatory Zone A evacuation and twice on October 29 between 8:30 and 9:30 PM during the height of the storm. 1. Further expand capacity of 311 call-taking during emergencies. • Implement a redundant call routing solution to ensure continuity of 311 call-taking. • Establish an alternate location for 311 call-takers. • Expand the use of cloud-based mapping solutions to support emergency activity.2. Formalize and expand regular updates to elected officials and community partners. recertification forms. Develop versions of critical documents for wide distribution that can be read by software used by people with visual disabilities. Only the second general population evacuation in the City’s history, the evacuation order required 375,000 New Yorkers to leave their homes and communities in advance of the storm. Many residents of Zone A heeded the evacuation order and left. However, thousands of people did not leave the evacuation zone; tragically, 43 New Yorkers lost their lives to the storm. Sandy’s unprecedented storm surge caused widespread power outages and flooding that ultimately compromised the ability of five hospitals and approximately 30 residential facilities to shelter in place throughout the storm and its aftermath. The City is revising its hurricane evacuation zones for the 2013 hurricane season. The new zones 1 through 6—which will replace Zones A, B, and C—include an additional 640,000 New Yorkers not included within the boundaries of the former zones. Residents who receive an instruction to evacuate are only slightly more likely to evacuate: 88% of Zone A residents surveyed knew that they lived in a hurricane evacuation zone, and 78% knew that they lived in Zone A. In addition, 71% of Zone A residents reported hearing an announcement to evacuate from a public official. Yet those who knew they lived in a vulnerable area and received an official instruction to evacuate were only slightly more likely to evacuate than a resident who reported that they did not receive such an instruction (78% vs. 68%). The City’s 911 emergency call-taking system reached its highest hourly call volume ever—20,000 calls per hour—during Hurricane Sandy and received more calls during one 24-hour period between 3:00 PM on October 29 and 3:00 PM on October 30 than on September 11, 2001 or during the 2003 blackout, the two highest call periods prior to Sandy. Key recommendation:Establish a Dewatering and Generator Task Force and Action Plan to activate in advance of an approaching storm that will collect and use detailed information about buildings in flood-prone areas to expedite recovery. • Develop a plan to address environmental contamination in dewatering and debris removal. • Develop street siting and permitting criteria for large temporary generators and boilers. such as generators, boilers, and electrical switchgear. • To the extent necessary, contract for emergency on-call electricians for generator installation and post-disaster assessments, and for on-call plumbers to install boilers. • Add generator operations and maintenance and GPS locators to the standard scope of work for generator contracting to help track location and placement in areas with poor communications connectivity. The majority of people seeking shelter arrived by October 30, immediately after the storm passed. Key recommendation: Make charging stations for wheelchairs and scooters available to people with disabilities. Waived environmental protections: For the general public, the City worked with the State to temporarily waive sulfur content requirements for fuel consumption and to ease fuel transportation restrictions into and within the five boroughs. The City also worked with the federal government to suspend the Jones Act to allow tankers originating from foreign countries to supply fuel from refineries along the Gulf of Mexico, and to temporarily waive federal Environmental Protection Agency requirements that are specific to dense, urban environments, allowing fuel consumed outside of New York to be consumed within the city. Key recommendation: Create a Fuel Task Force, modeled after the Downed Tree Task Force (the inter-agency tree removal group), to ensure adequate fuel for rescue and recovery operations.• Add a fuels desk to OEM’s Emergency Operations Center. 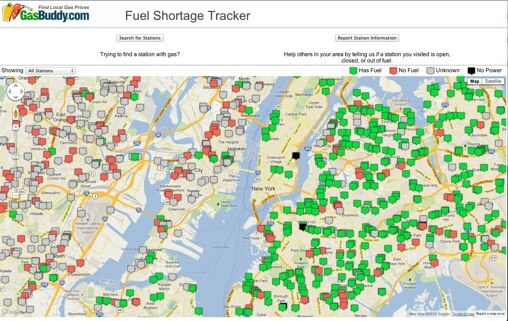 • Formalize and expand DCAS/NYPD partnerships with retail gas stations. • Build federal and state support and create a “playbook” for regulatory relief during fuel shortages. 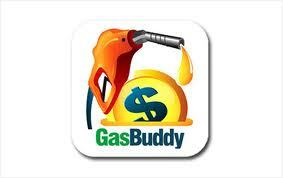 • Protect and standardize eligibility for use of City fueling sites. • Research options and viability of creating local emergency fuel reserves. Widespread coastal flooding also damaged 10,000 recreational boats and 100,000 personal vehicles, many of which were carried by floodwaters onto streets, sidewalks, and private property. Although the City regularly tows vehicles for parking violations, it did not have a plan to manage a tow operation of this scale. Within 10 days after the storm, the City had put a contract in place to tow and store damaged cars and boats, and had instituted a process for the public to locate and reclaim their property. In total, the City towed approximately 3,400 cars and 180 boats, including 60 derelict boats that washed up on City parks in Staten Island. 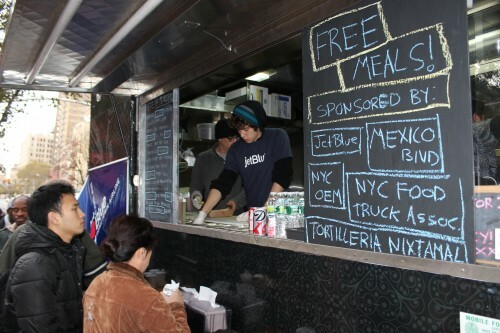 The Mayor’s Fund to Advance New York City supplemented this food distribution by partnering with the NYC Food Truck Association to give out more than 278,000 free hot meals at several locations starting November 6 in coordination with borough Community Recovery Directors and OEM, and by purchasing and coordinating the donation of groceries including fresh produce and nonperishables. and federal resources. This plan will leverage the work of the Mayor’s Office of Data Analytics and improved staff training to coordinate data collection and sharing. Business Resumption: The City, through the New York City Industrial Development Authority (IDA), also issued emergency sales tax letters to waive up to $100,000 in New York City and New York State sales taxes for up to 250 businesses on materials purchased for recovery efforts. 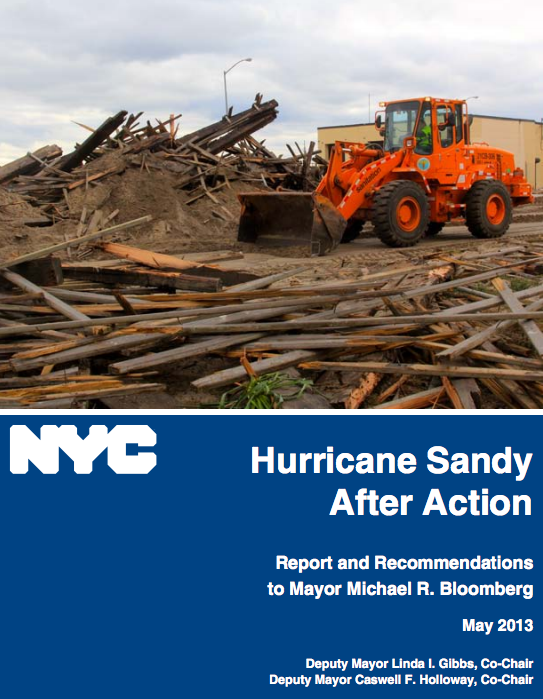 At the end of the report, the City details the results of the survey they distributed after Sandy. The results are incredible–probably worth another article. From WAMU 88.5 at American University in Washington, welcome to “The Kojo Nnamdi Show,” connecting your neighborhood with the world. Later in the broadcast, unearthing the stories and the recipes behind black bartenders who lived through prohibition and racial discrimination in Washington, D.C., but first, the modern nature of Monday’s bombings at the Boston Marathon and the scramble to get to the bottom of it all. Investigators are still digging into who was responsible for those explosions, which killed at least three people and injured more than 170. They’re calling on those who were near the finish line to handle their video and photos they may have taken around the time of the blast, a task that could involve sifting through thousands of hours of tape and an ocean of data. Meanwhile, the immediate emergency response to the bombings also reflected the times we now live in and events unfold in front of thousands of cameras and spill over immediately into the sprawl of social media. Joining us in studio to discuss this is Todd Jasper. He is associate director of the Homeland Security and Emergency Management Vision at MSA, consulting firm here in Washington. He’s also vice chair of the Emerging Technology Caucus for the International Association of Emergency Managers and the education director for the Metropolitan Washington Association of Contingency Planners. Todd Jasper, thank you for joining us. Joining us by phone is Alexis Madrigal, senior editor at The Atlantic where he writes about technology. Alexis, thank you for joining us. Todd, I’ll start with you. It’s being reported now that there was a letter or a package sent to the White House containing an undisclosed substance that is apparently dangerous, and that comes on the heels of reports that a package sent to Mississippi Republican Roger Wicker contained rice and looks as if we’re dealing with a lot of emergencies at the same time. Any thoughts about this at all? When it rains, it pours, it seems like. It makes us think back to late 2001, early 2002 where we had the obviously 9/11, followed by anthrax attacks. So it seems like we’re getting terrorism in all sorts of forms simultaneously. Luckily, it seems like everyone is pretty well-prepared. It was sent to the White House that we know about. It didn’t actually reach there. It was screened and interrupted before it got to reach its destination. But in the other case of the rice and, again, it didn’t reach the member himself, but it is obviously when you point out that what happened the last time after 9/11, one has to try to figure out what the heck is going on. But we won’t speculate too much about that. Turning to Boston, all you have to do is listen to the radio traffic from the Boston Police Department on Monday to begin understanding the thoroughly modern nature of that moment. Within a matter of minutes, you hear a commander to be giving orders to begin using social media to let people sheltering in restaurants and hotels around the site know that explosive ordinance disposal teams were passing through. Here’s some of that sound. We’re going to get the victims out. We’re going to conduct a sweep with DOD assets to make sure there are no other devices on the streets. We will then get people out of the restaurants and bars. I need somebody up there to get on social media and let people know what we’re doing here that we’re sweeping the streets to make sure it’s safe first, and then we’ll get them out of the bars and stuff once we get it swept. Todd, to what degree do you think what happened on Monday is indicative of how we’re living in a new era both of emergencies and of emergency response. It’s extraordinary. We are seeing more involvement from not just first responders but from everyday citizens in emergency situations and creating what we call emergency management, the common operating picture and using new technology, nontraditional methods for it. Although, you know, every middle school or high school would say that social media is pretty traditionally common to them. It wasn’t too long ago that the D.C. Fire public information officer was relieved of his position because he tweeted too much, and the reasoning was social media is for parties. We’re not having any parties here. And it’s changed a lot. Being very progressive recognizing that the citizens are part of the response, understanding that — honestly, if you look at pictures and videos of 9/11, of, obviously, the Boston Marathon bombings, what you see is who are the first people around. I mean the police and fire there, sure. But the very crucial, as crucial as the folks that are first responders in their own right and are carrying people to safety, their fellow citizen. And so being able to engage with everyone is so important. And this commander was extraordinarily progressive in that mindset. And no sooner that he ordered the EOD, which is the explosive ordinance disposal teams, into the area but he also ordered headquarters to start using social media, start engaging with the public. I think that’s an extraordinary statement as to his forward thinking about being able to involve the public and also try to reassure people. Alexis Madrigal, investigators are now calling witnesses near the finish line to hand over any videos or photos they may have. You wrote that this is also a sign of the times that major events are unfolding in front of human eyes and in front of thousands of potential photographers and videographers at any given moment. It’s true. I mean I think one thing we’ve seen particularly in large events, like the Vancouver riots, the riots in London, is that there’s just truly thousands of hours of video now that investigators have to deal with and all kinds of different formats. I mean, there’s not just a video that citizens are producing with their smartphones. There’s also the CCTVs that are likely along Boston where the bombings happened and a lot — I’ve been talking with video forensic experts. A lot of the hard part is actually just the practical stuff. How do you get a hold of the evidence itself? They want it in the uncompressed format, so they want to get a hold of the actual phones themselves, the actual CCTV recorders. And then they’ve got to get all that stuff into a system that they can then work and tag and look for events and people of interest. And so there are, in fact, established methodologies for dealing with all those things, and they’ve only emerged in the last couple of years. 800-433-8850 is the number to call if you have questions or comments about Boston, technology, emergency response. 800-433-8850. You can send email with your question or comment to kojo@wamu.org, or you can send us a tweet, @kojoshow. You can also go to our website, kojoshow.org, and join the conversation there. Do either of you expect this is likely to change the conversation about security cameras and law enforcement in the United States? There’s a marathon that’s about to take place in London. It’s a public event that will go down in front of the full view of the entire CCTV system there. First, you, Alexis. It’s interesting. I mean I wish we could have more of a public debate about the present of this kind of surveillance. I think, you know, in certain circumstances, it does seem to be they’re useful. I think in other circumstances, there’s been a lot of questions about it, its efficacy just kind of for day-to-day crime prevention in London and in England more generally where they have way more CCTVs than we do. I think, you know, for me, sort of the big questions are, are the kinds of systems that the government puts in place for surveillance are they the kind of systems that we would want generally speaking to have in place. If we kind of can’t get blinded by the technological aspects of these things, I think we have to examine them within the general values that society has. Absolutely. You know, we have to look at the reasons why London has so many CCTV cameras, due to the IRA bombings. We are a culture that likes freedom, privacy. Of course. And I think that it’s fine balancing act, try and determine transparency and security versus privacy and some — anonymity in the public sphere. I was reading, well, one of my favorite crime novelists, Dennis Lehane, had an op-ed in The New York Times today. Of course, he’s a Bostonian, and he said: Look, we are going to find these people, and we are going to move on with our lives. We’re not going to panic and introduce all kinds of security measures that invade people’s privacy. But I guess I suspect that debate is probably likely to take place in Boston also, isn’t it, Todd? Well, yeah. There’s been a long tradition that you don’t have privacy necessarily in open places. There’s no reason for privacy when you’re walking down the street. People can see you. You’re not invisible. So it’s — a lot of folks would say having security cameras in public places is probably not much an invasion, but a lot of folks will also have the other opinion that that’s not something they want to sign up for. But we — again, we do have to balance security with it. He says we’ll find these people, but how will we find them. We might have video of them. It might be because of some really forward thinking security systems or processes or programs that established certain zones where we can surveil the public to make sure that something is spotted that’s an unattended package. For instance, New York City Police Department has one of the most technologically advanced systems out there. They have programs. They don’t actually necessarily have a person watching every single second of video coverage, but what they do have is software that can monitor and see if someone leaves a package unattended. And they can have a bomb squad respond to that or a police officer. In fact, they can even search based on — if someone said there was a person wearing a red shirt that robbed a bank, they can query the system to identify if a person wearing a red shirt ran down that street. So there are some very technologically advanced methodologies that we can be using that are starting to become more popular, but it’s always obviously a debate between privacy and security. Well, Alexis Madrigal, in the wake of Newtown, Conn., the debate about gun control and gun regulations certainly was ramped up. You think this incident can lead to a ramping up in the debate over CCTVs? Yes. I think it might. I mean, I think when one of the big problems in a lot of these systems that we don’t really have a lot of ways to evaluate the efficacy, right? I mean, the New York system or the London system, that we kind of have to just take law enforcement’s word for it that these things are working, or they’re making us safer. And I think that’s one of the big problems is once we get into these kinds of technical realms, you know, we can’t just say, is this actually making us safer or not. We have to know about some of the technical innards, and we have to figure out ways of having some communal decision-making around those kinds of technologies. I think right now at least, you know, and talking to video forensics people, specific to Boston, it doesn’t seem like a lot of automated tools can be brought to bear. It’s going to be human beings doing the tapes. And I think one of the big differences between, you know, a single event where a lot of media is collected, is that there are going to be a lot more investigators available. And so you sort of — there’s going to — the human side of the investigation will remain where these systems are deployed over an entire city all the time, the scale of it sort of requires automation in some ways. And I think that is where it gets into some more difficult privacy issues because, once you start deploying more and more automated systems, you know, is it a different — is it a difference in scale or type of surveillance? And I think once you start deploying software that can identify someone, say, walking through a city anywhere, is that actually different in the eyes of the law or in the eyes of citizens than just a police officer being able to watch when there’s some sort of Supreme Court cases that are finding that while a police officer could follow you in a car anywhere they wanted to, if they attach a GPS to your car, that’s actually different. And I think there’s some sort of key issues around some of these things when the technology actually changes the type of surveillance in the eyes of the law or the people. Todd, authorities put out a call pretty quickly for people to limit cellphone use after the explosions to avoid detonations of other devices that may have been in the area. There were mixed stories about whether or not law enforcement actively ordered cellphone networks to be shut down. What’s the process that people typically follow in these types of situations? I noticed that you tweeted on Monday, encouraging people to avoid using cellphones and radios. Right. The standard operating procedure after what we call an IED or an improvised explosive device, which could be triggered remotely using wireless devices, is to limit the use. We don’t want to absentmindedly or accidentally set off additional or secondary devices based on using our cellphones. In fact, the standard procedure for law enforcement and fire, too, is to try to really limit the use of radio and cellphone communications at time. Are there methods of communication that are typically the best bet for both the responders and for the public in situations like this, text? I’ve heard from people with BlackBerries that PIN networks tend to be pretty reliable also. Well, the concept’s the same. If you’re sending or receiving a message of any type, it’s using wireless frequency to do that. You know, besides just having two cans and a string, you know, really, landline was the only — any kind of process where you’re not using wireless frequency to transmit a message if you’re in the area where there might be explosives. It sounds like we find ourselves in a whole lot. But when we do, it’s best to be cautious about that kind of thing. You wrote on your blog about whether technologies are emerging that can better so-called soft targets — better protect so-called soft targets from attacks. These bombings took place smack dab in the middle of one of the biggest public gatherings that Boston stages every year. What, in your view, can be done from a technological standpoint to make events like this safer? Or is this simply the reality of the world we live in, that if someone wants to attack a shopping mall or an open public place that there’s only so much you can do to stop it? It’s about — really, the conversation is about how we can we empower citizens to be alert and aware to their surroundings if there is an unattended package. And then second is to make the means of communicating, the perceived threat or an unattended package or suspicious circumstances or persons, any way it would — any one of those, so easy that they can do it effortlessly. Frederick County in Maryland just released — part of their new 911 system is you can text 911. You could send them a picture. You could send them a request for service or something like that. So being able to contact emergency services discreetly might be something that’s easily done and could prevent future attacks. If someone — put yourself in someone’s shoes. If you’re at the Boston Marathon and you saw someone who looks suspicious, might have heavy nylon bags that seem to be clunking around, are you going to feel comfortable picking up your phone and calling 911 at that point trying to report that? That might be easier said than done. So being able to enable people to report things using their cellphone, but not necessarily using voice communications might be helpful. And also, many different cities have some apps to report or to at least provide guidance on what things might be suspicious and how to report them. And finally, are there best methods of communications for both the responders and for the public in situations like this? The inter-operability issue where there are responders coming from different jurisdictions, there needs to be a reliable way for them all to communicate with each other and, I guess, with the public. What’s your sense for the progress we’ve made on issues like that here in the Washington region? Especially in the Washington region, we’ve been — we’re head and shoulders about where we were in 9/11. In the Metropolitan Washington region, the national capital region, almost every department and not even just the counties, but individual cities that have their own police departments are all on the shared radio system. So they can talk to each other very easily. In fact, Montgomery County, if there’s large fire in Montgomery County, sometimes they’ll call on Fairfax County to send over fire engines to sit in their stations to backfill their stations. And it happens all the time, and it’s effortless. And that kind of mutual aid goes around the — around the whole region. And reduces the likelihood that we in public will be getting different messages from different agencies? Well, that’s the next thing is once you have inter-operable communications, you’re going to have information that’s shared through a lot of different agencies. How do you filter that so the public gets what they need in a timely manner? And, you know, for this Boston example, we see the commander immediately turning to social media, and they have a great PIO or public information officer who gave out a lot of information via Twitter very quickly so that there was rapid, real facts being distributed not just speculation. So it’s a fine art making — when you have multiple jurisdictions responding to an incident, especially a notorious incident like a bombing or something that might tied to terrorism is making sure that the message is consistent so that all these — all these agencies exercise and communicate on a routine basis so that that is a very fluid process and makes it the best service. Todd Jasper is associate director of the Homeland Security and Emergency Management Vision at MSA, a consulting firm in Washington, D.C. Todd Jasper, thank you for joining us. Alexis Madrigal is a senior editor at The Atlantic where he writes about technology. Alexis, thank you for joining us. We’re going to take a short break. When we come back, we’ll be unearthing the stories and the recipes behind black bartenders who live through prohibition and racial discrimination here in Washington. I’m Kojo Nnamdi. The cowardly bombings near the finish line at the Boston Marathon on Monday were a shock to many of us and a reminder of past bombings on American soil, such as the 1996 Centennial Olympic Park bombing in Atlanta, GA and the May 2010 Times Square vehicle-borne improvised explosive device (IED). As social media becomes a standard communications platform, the capacity and capability for first responders to send messages to the public is greatly increased. Social media is a communications tool we didn’t have on 9/11 or in Atlanta. From its beginning in March 2006, Twitter has proliferated daily life. Twitter alone transmits about 340 million messages daily–almost 4,000 tweets per second! It is obvious that social media is an excellent way to communicate directly with victims and survivors–especially during notorious incidents in which it is likely that cellphone networks will be overloaded and, thus, unreliable. It is no surprise that the Boston Police commander asked for social media. What is surprising, however, is how quickly he made the order. Immediately after ordering police officers to remove the victims and ordering the EOD teams to begin sweeping the area, the BPD commander asked for BPD headquarters to begin using social media! This instance should serve as a case study for future incident commanders at recognizing the need to involve survivors and victims in their own outcome. Instantly ordering communications with the public using non-traditional methods (opposed to typically filtering messages from a public information officer) can create calm and assist in developing a common operating picture. As the emergency management and public safety field continues to better understand and better implement social media, we will continue to see novel uses of instantaneous, two-way communication between public safety agencies and the public. For instance, following the bombings, law enforcement have requested videos and pictures from the public of the area surrounding the explosions. That’s right, we’re actually using crowdsourcing for terrorist investigations. The citizens and first responders of Boston made our country very proud the other day. As a country and as a field, we mourn the tragedy and the loss of life and the terrible injuries. 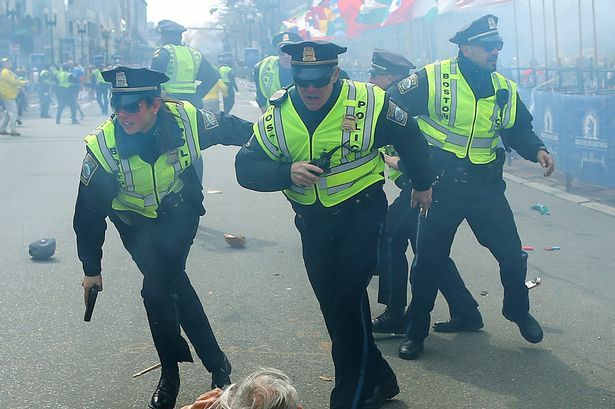 The men and women of law enforcement, the fire service, emergency medical providers, and all other agencies that ran towards the explosions should feel proud of how they handled themselves–all the rest of us can learn a lot from how well Boston responded under the most perilous of circumstances. Well done. Don’t read off of slides, adults are capable of doing that without an instructor. Respect your audience’s time and intelligence by reviewing the material beforehand. While it is necessary for you to know the subject you’re teaching, no one expects you to be infallible or to know everything. Always be professional and take extra care to tailor your training to your audience. For example, don’t share a violent active shooter training video with parents at the PTA meeting–find a more informative and less stressful media presentation. At a training I recently attended, the presenter used gunshot sound effects at each slide transition–this was not only distracting but could have triggered an emotional response from audience members who have been in combat or other violent situations. During a CERT course I attended, one of the instructors was a firefighter and absentmindedly included training for skills that exceed CERT requirements–this wasn’t terrible, but the material should have been tailored for CERT rather than the fire service. Assume that someone in your audience might have an unintended emotional response to examples of violence, gore, profanity, etc. People love stories and case studies. Stories should be short, sweet, and relevant to the discussion. Stories can provide excellent reinforcement for lessons. Do not get off-topic and consumed with a long story (and do not drop names throughout a story). Do not tell inappropriate stories or stories that could embarrass/harm your and your agency’s reputation. Don’t tell a story that you don’t know to be true. Without being gratuitously violent, graphic, or profane, all training should be as realistic as possible to prepare students for what they will encounter in the real world. If the training you’re providing differs significantly from real world application, refer to the (previous) 4th Commandment. Resist the urge to frighten new students, it doesn’t make for a good learning environment. By presenting the course content in logical, reasonable, and non-harassing way, your students will feel more comfortable, be willing to ask questions, and share more during the course. Intimidation may work in boot camp but doesn’t have a place in most emergency preparedness classes (such as CPR, first aid, ICS courses, etc). Unless it is necessary, refrain from using pictures of terrorists or other criminals during your presentations. Many of these killers want to be famous/infamous and spreading their image only helps them reach their goal. Instead, focus on the victims or the responders. The perpetrators should not be given undue publicity. Don’t forget that when delivering training to adults, interactive training is important. The best classes include discussion and sharing from the audience that helps reinforce the course concepts. Ensure that there are specific times during the course that include audience participation. Oftentimes, in emergency management, it is easy to get carried away with abbreviations and initialisms (like HSEEP, ICS, IC, SitL, etc). Don’t assume everyone knows the definition of the terms you’re using. Make sure to define each one on first usage. Using too many abbreviations and initialisms can delay or limit comprehension–just be careful. If you don’t know something–admit it. If you get corrected by a student, thank the student and make sure the class understands the correction. 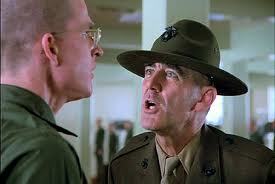 You’re an instructor, you’re not infallible. You’re not expected to know everything perfectly–neither are the students. Don’t get defensive. It’s a learning environment for everyone–including the instructors. Don’t be offensive. Don’t tell crude jokes–they are never as funny as you think they are. Don’t share offensive cartoons, videos, or any other media during the classroom breaks. At best, it gets a laugh. At worst, it triggers a complaint or (worse still) a lawsuit. Don’t make fun of students, other instructors, or do/say anything that could be considered politically incorrect. It simply is not worth it. Please be polite, courteous, helpful, thoughtful, kind, and professional. There are many opportunities for training and the emergency management field needs awesome instructors. Statistics released by the US Secret Service reveal that the majority of active shooter incidents are preventable. Do you know the warning signs? In over 80% of school attacks, the attacker told at least one person about his plans. In close to 60% of school attacks, the attacker told more than one person about his plans. In essence, school shooters do not cleanly fit the stereotype many of us have for a school shooter. Many of us assume that most active shooters come from broken families, have poor grades, have a history of suffering from mental illness, secretly develop their plans to attack a school, and lack friends. In fact, most school shooters come from two-parent families, have good grades (only 5% of violent students receive failing grades), and only a third of school shooters were characterized as “loners”. This means that two-thirds of shooters are have friends and regularly socialize. 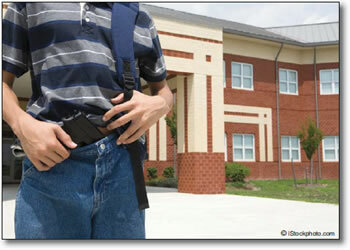 Students who plan attacks on their schools are usually not known to have psychiatric issues leading up to the attack. In fact, the Secret Service report explains that “fewer than one-fifth had been diagnosed with mental health or behavior disorder prior to the attack”. The conclusion we can reasonably reach is that the stereotypical profile of a school attacker is a myth. As a community, we need to be ever vigilant for signs and symptoms that could alert us to a student planning an attack. In over 80% of school attacks, the attacker told at least one person about his plans. In close to 60% of school attacks, the attacker told more than one person about his plans. This means that about four-fifths of school attacks could be prevented if students, siblings, and parents called 911 when they hear about a student planning an attack. It seems incredible, but when most people hear about plans for a school attack, they go into denial. They don’t want to be the one who reports a student, they don’t want to cause the student to “get in trouble”, and they simply don’t want to get involved. In one school shooting, 24 students knew about the attack before it took place! The most important school shooting prevention tip is to immediately report if you suspect or hear of any plans that a student has to attack a school. If you call 911, you can request to remain anonymous. As Montgomery County Police Officer Rebecca Innocenti explains, anyone who suspects an attack on a school should “err on the side of caution and give police a call.” For those that do not feel comfortable calling 911, the non-emergency line for the Montgomery County Police Department is 301-279-8000. Although there are six full-time police officers in Montgomery County that serve as “school resource officers”, the SROs oftentimes cover multiple schools at once. Students, parents, or any other concerned party should not wait until they see an SRO to report a planned attack–always immediately call police or tell a school administrator. Anyone who observes one or more of these signs should immediately report the student to 911 or a school administrator–our only hope of keeping our schools and kids safe is to ensure our community is advised of warning signs and remains actively vigilant. For more information on how to survive an active shooter incident, please see my previous post in the Chevy Chase Patch about active shooters.